The Monash Museum of Computing History has been collecting material since the year 2000. A large number of selected items are on permanent display in the Museum's exhibition at Caulfield campus and other material is in storage. The collection is focused on calculating and computing equipment and is directed towards recording the role of computing at Monash University. This includes a range of biographical material reflecting the use of computers and academic work at the University. Major features of the collection include the Ferranti Sirius computer which was the first computer acquired by Monash University in 1962. 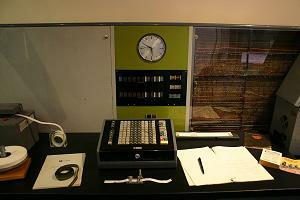 It was an English computer with acoustic delay line memory used in the Monash University Computer Centre. This computer is on permanent display. 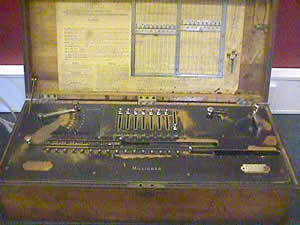 The Museum holds a range of calculating devices including the Millionaire mechanical calculator which was produced about 1900. This Swiss calculator was used for actuarial work and was noted for its ability to multiply quickly compared to other calculators available at the time. Material in the collection can be viewed by arrangement, please contact the Museum. A rare, geared mechanical calculator from about 1900 manufactured in Switzerland by Hans Egli. MMoCH Collection 2007.0192.